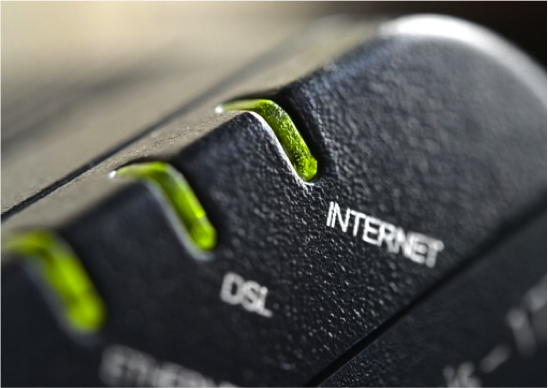 If you rely on old-school copper wire DSL technology for your home’s Internet connection, you could see a major speed boost over the next few years. CNET is reporting that several companies are currently testing and demonstrating a new technology called G.fast that delivers data transfers at 1Gbps gigabit speeds. G.fast should arrive in homes by 2016. Current DSL subscribers typically see real-world speeds ranging between 1 and 10 Mbps, depending on the distance data needs to travel from your local provider’s networking exchange to your home DSL router. The more copper wire that needs to be run, the slower the speed. That’s because of interference – signal from one wire can easily “ghost” its way onto another, causing rapid degradation. New G.fast chips help reduce this interference through the use of vectoring technology. They allow communications devices to understand data better and preemptively counteract interference through changing signal voltages. Short distances are still required for the best speeds. But even at a distance of 200 meters (656 feet), you should still be able to see speeds as high as 600Mbps. Companies like Google, AT&T and Time Warner are currently devoting resources to build out their next-generation fiber optic networks. These lines are already delivering 1Gbps speeds to customers in cities like Austin, Kansas City and Atlanta where market competition is high. But those of us living in far-flung rural areas are unlikely to see an upgrade to fiber soon, if ever. Being able to upgrade the existing public switched telephone network copper to deliver 1Gbps DSL is a huge game changer, if only due to lack of other options.